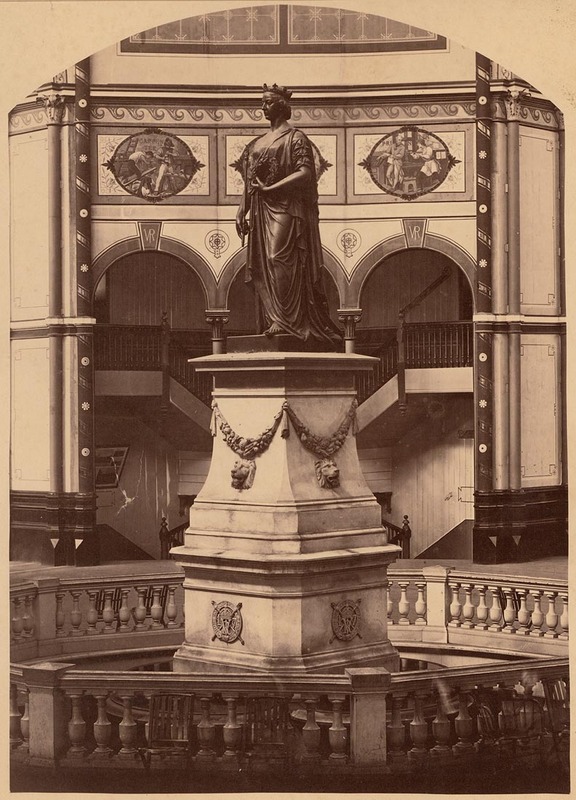 Sydney has two large bronze statues of Queen Victoria but this one no longer exists. The "Garden Palace" which housed the International Exhibition between 1879-1882, was destroyed by a fire with flames which could be seen for 20 miles. A pond in the Botanic Gardens marks the spot where the statue stood under the dome.